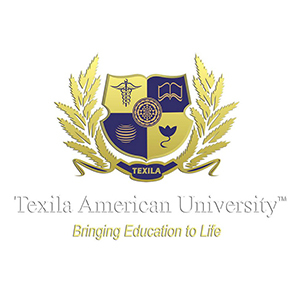 Texila American University (TAU) has announced attractive scholarships for Indian students to fulfill their medical aspirations. TAU offers an MCI recognized medicine program in Guyana, South America. The university is offering scholarships of up to Rs.10 lac for every meritorious student. “Since the Indian Union Health Ministry has disapproved 82 medical colleges, at least 10,000 MBBS seats have been blocked nationwide. In order to fill this glaring gap, TAU is offering an opportunity to aspiring students to fulfill their dreams of becoming doctors by helping them with attractive scholarship”, said Mr. S.P Saju Bhaskar, President, Texila American University. There are only 65000 MBBS seats in medical colleges in India and every year millions of students appear for medical entrance exam. Therefore, most of the students aspiring to become doctors in India find it difficult to get a medical seat. It is, therefore, a preferable option for many Indian students to consider studying MBBS abroad. Established in the year 2010, TAU has been a favourite destination for students from India especially from states like Tamil Nadu, Andhra Pradesh, Telangana, Punjab, Delhi, Gujarat and North-Eastern states. Also, we have students from 40 different countries which makes us truly a global university”, said Dr. Anand, Vice Chancellor, TAU, Guyana Campus. “To make the students feel at home we serve Guyanese, Indian, American and Chinese food in our canteens,” he further added. The university admits students twice a year, i.e., March and September. Since for most Indian students academic results declare in June, they prefer September session for admissions. For students who prefer to practice in the USA, TAU offers training for the US medical licensing exam.